Preshes has come a long way since she and her brother was dumped in bushland over a year ago. She is the baby of the two and loves all her food 😀 and after not knowing what love or pat's were she quite a little cutie and loves her cuddles now. Just a beautiful natured little girl.! 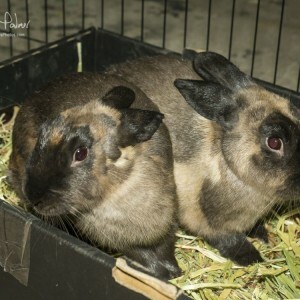 These two buns would love to stay together and is needing someone with a big heart and time to keep showing them love 😍!! Great with cat's dog's and young kids 5 years and older.